International trade faces an unusually uncertain and unpromising policy environment. Rising economic nationalism in major economies threatens to undermine the global integration that has promoted growth and distributed it more widely. Multilateral structures have been weakened and trade liberalising agreements are being depicted as a threat. A trade war continues to be a real danger. The Centre for Multilateralism Studies at the S. Rajaratnam School of International Studies convened a high-level informal meeting to discuss these challenges and possible ways to address them. 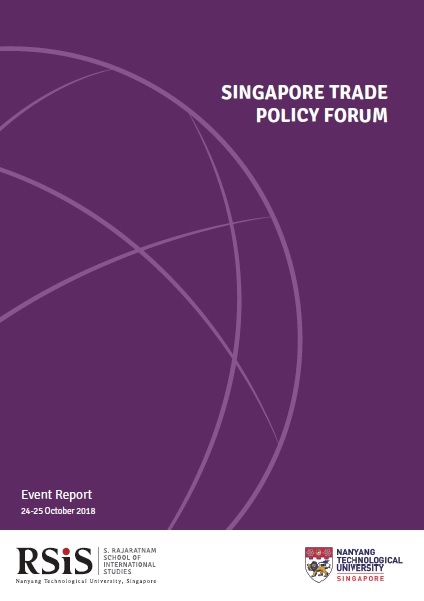 The inaugural Singapore Trade Policy Forum was held on 24-25 October, bringing together around 40 senior trade experts from governments, the private sector, and universities from the Asia-Pacific region and beyond. This broad participation provided a mix of perspectives on the problems confronting international trade, both globally and regionally. The agenda covered topics like the threat of a trade war and possible responses; rebuilding a stable trading environment; trade rules for the digital age; the crisis in dispute settlement; and renewing a pro-trade consensus and a more inclusive trade agenda. The debate took place under Chatham House rules. The views expressed are those of the participants and do not in any way represent those of the RSIS or the sponsors of the forum. Given global trends, this was a very timely event. Smaller, trade-dependent economies such as Singapore are active in defending a stable rules-based trading environment. Their efforts need the support of the wider trade policy community. This inaugural forum seeks to launch a continuing process of multi-stakeholder debate on trade issues. The holistic approach it embodies can help provide fresh thinking and inform policy development. The organisers would like to thank the New Zealand and Australian governments for their support of the event, and in particular, His Excellency Mr Bruce Gosper, the Australian High Commissioner to Singapore, for hosting dinner for the participants.